Danica Patrick’s future in NASCAR is now in doubt, but her fellow drivers wouldn’t be surprised to see her on the track in 2018. After struggling to lock up sponsorships this year, the 35-year-old Patrick will leave Stewart-Haas Racing at the end of the 2017 season. The move was announced earlier this week when Stewart-Haas inked a new sponsorship agreement with pork producer Smithfield Foods, a deal that didn’t include Patrick. Kevin Harvick, the 2014 Cup Series champion and Patrick’s teammate at Stewart-Haas, believes Patrick can find a new team and sponsor. “It’s a tough position to be in. I think if anybody can do it, I think she has the brand and obviously having her track record with things that she’s done in the past, she could pull it off,” Harvick told FOX Business during an interview in New York ahead of NASCAR’s first playoff race this weekend. Harvick, who owns a marketing agency that represents athletes and celebrities, added that it’s difficult for teams and drivers to secure sponsorships this late in the year. Patrick initially had a contract that ran through 2018, and Nature’s Bakery had signed on as the primary sponsor of the No. 10 car for three years. But the company backed out of the deal after one season, leaving Aspen Dental and other sponsors to fill the void as a temporary solution. With the Smithfield sponsorship in place, Stewart-Haas will search for a new driver. Patrick, who has seven top-10 finishes in 180 career starts, is the only woman to ever take the pole position in the prestigious Daytona 500. She has built a large fan base since transitioning to stock-car racing in 2012, and a longtime partnership with GoDaddy (NYSE:GDDY) helped make Patrick a household name outside of the racing world. Busch also said it can be a tough road for drivers who lose a sponsor, given that most drivers can’t take a sponsor with them if they switch teams. “Sponsors are what it takes for us to get to the race track every week. If you don’t have a sponsor, you don’t have a ride,” he said. In announcing her departure from Stewart-Haas, Patrick acknowledged that sponsorships presented a unexpected challenge heading into the 2017 season. “Sponsorship plays a vital role in our sport, and I have been very fortunate over the course of my career, but this year threw us for a curve,” Patrick said, adding that she was grateful to Aspen Dental and Code 3, another sponsor, for stepping up on short notice this season. Patrick has indicated that she would consider walking away from the sport if her sponsorship woes continue. In an interview with FOX Business last year, Patrick expressed an interest in the health-food industry and TV. 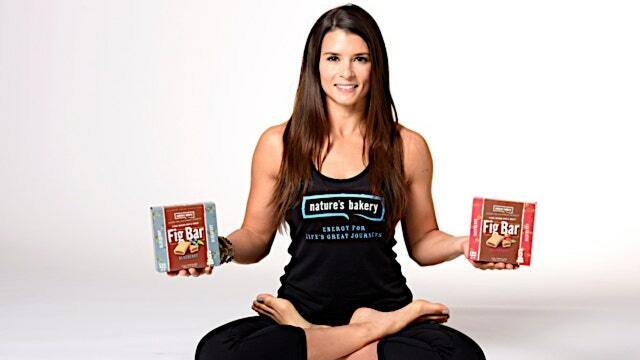 This year, she launched a clothing line, Warrior by Danica Patrick, in a partnership with HSN. “At this point and time it’s racing, but while I’m in racing, it’s fun to develop relationships and plant the seed about all the other things that I love to do that will go beyond racing,” Patrick told FOX Business. The 10-race Monster Energy NASCAR Cup Series Playoffs start Sunday with the Tales of the Turtles 400 at Chicagoland Speedway. Sixteen drivers are competing for the 2017 championship, and the winner will be decided Nov. 19 at Homestead-Miami Speedway.